Grammar Common errors in English usage for IBPS, SSC, UPSC, GRE, and other exams. Singular or Plural what is causative verbs Conditional structure Verbs after Neither... and many more errors. Answer: (C), use will starve in place of are starving. This is the first conditional sentence; first conditional always indicates future: something possible in the future. Here, the sentence indicates about future. Hence future tense is used rather than present tense in the main clause. 1. Zero conditional : It is open and possible at any time. Use present tense in both of the clause: if and main. 2. First Conditional : It indicates about future. Use present tense in If clause and future tense in main clause. For period or length of time, for is used, whereas for point of time since is used. Here, three years is a period of time; therefore for is right here. Neither means not either means not any one of two, it indicates a singular subject; this is why, singular verbs are always used with it. When None, neither, either and any are followed by of + plural noun/ pronoun, they are normally used with singular verbs. - Oxford. Forced is a transitive verb, and transitive verbs demand object, so an objective case is needed here. Pronoun I, however, is in subjective case, we must change "I" into "me" as the verb requiring objective case. Scarcely is not comparative hence than is not suitable here. We should use when here. Than is only used with comparative like: No sooner... than. We should not use than with hardly or scarcely. When or before is used with hardly or scarcely . Having + V3 is always used in the prefect participle. Company is a singular noun, and has is used with singular instead of have. Use the present perfect continuous to talk about an ongoing state or action which began in the past and is still continuing or has just finished. Use the present continuous tense for the present continuous action which is happening now. Make (= force) , See, Make, and Help are known as causative verbs. In active sense, it is followed by object + infinitive without to (verb without to). In passive structures, however, to is used before verbs. Active: The cruel lady made her step daughter do all the household chores. Passive:The step daughter was made to do all the household chores. The US is singular noun not plural. 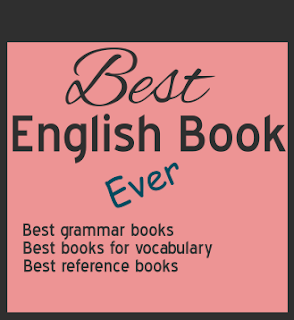 RECOMMENDED BOOK: The best book for common errors in the English Grammar. Please let us know any errors you find in this post.